The OOF logo, created in 2016, is inspired by a painting by Edward Ruscha exhibited at the MOMA museum in New York. The strong geometry and intense colours of the work identify with the DNA of the OOF aesthetic. 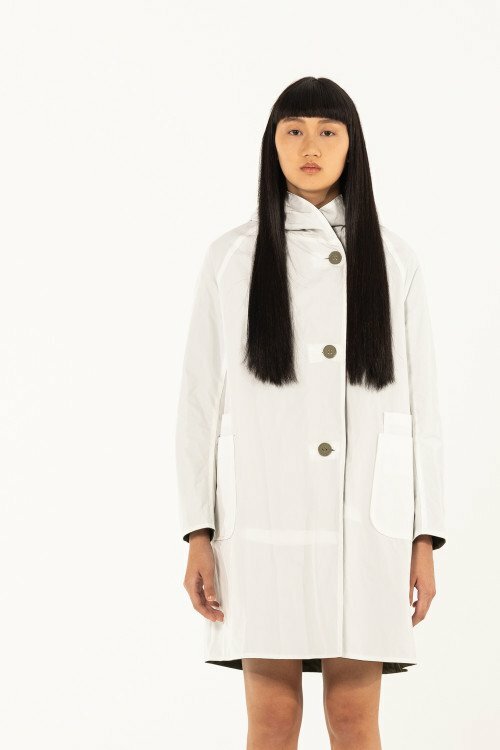 In the new SS19 collection classics are reinterpreted creating new silhouettes. Shapes, volumes and colours play in synergy creating a unique style, modern and refined but at the same time fun. 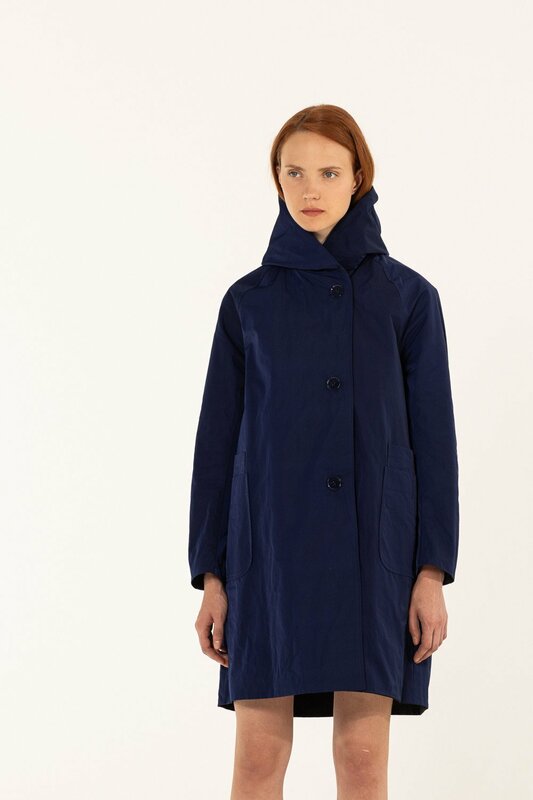 We love the relaxed style of the reversible hooded mac. There are two colour combinations – khaki and chalk or navy and black. 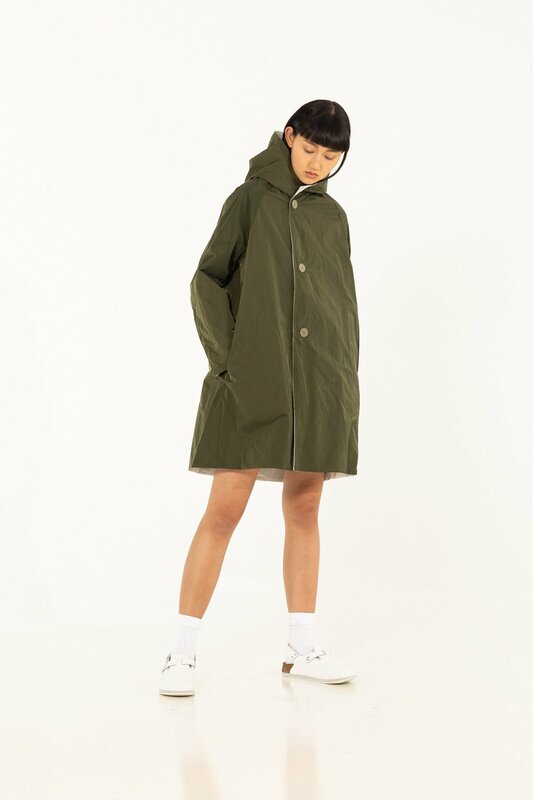 Practical and stylish, this versatile little mac is perfect for our unpredictable spring climate, rain or shine, you’ll be ready for anything. 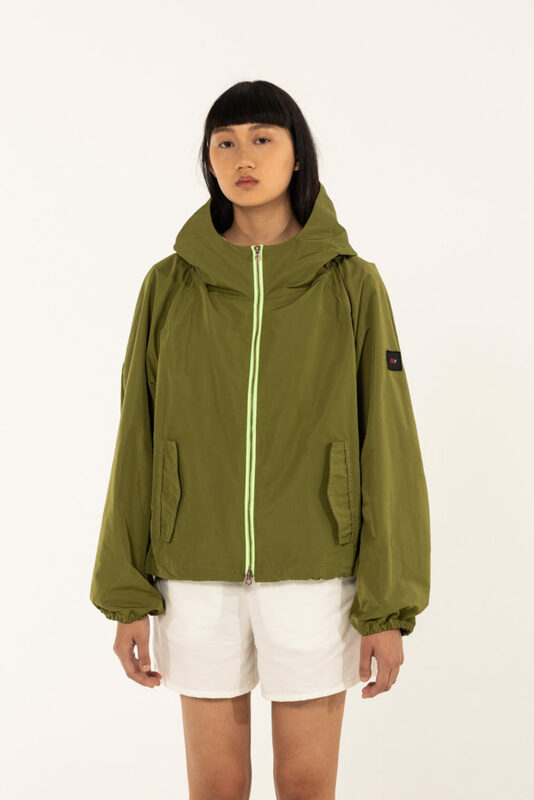 The OOF 968 jacket is a shorter length, styled with raglan sleeves, it features a unique drawstring detail at the back which is fully adjustable. 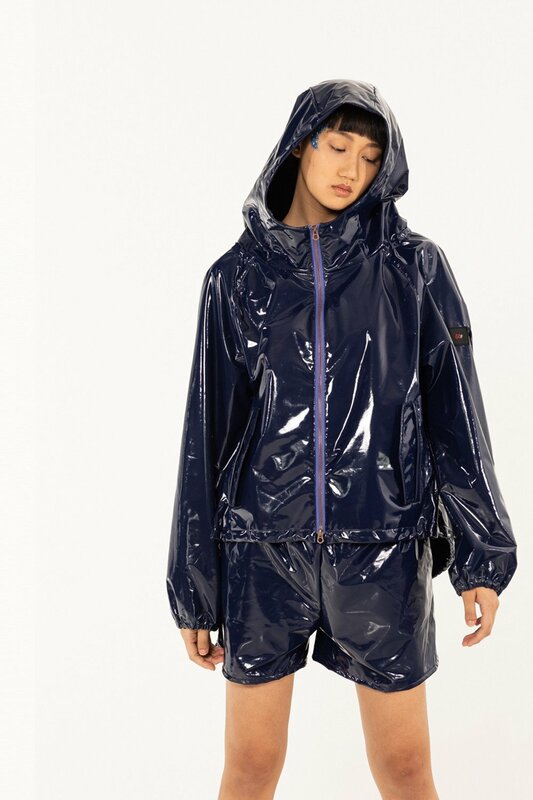 Water repellent and breathable this is the perfect go to jacket for the weekend. 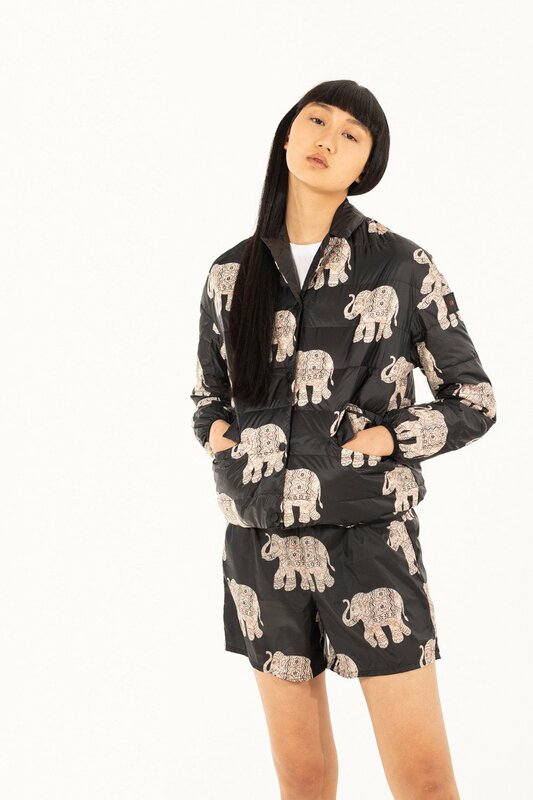 We love the cute, reversible Elephant Print puffa jacket. The other side is plain black, giving you two totally different looks, perfect if you’re heading away on a trip but want to travel light. Make a statement in the shiny cropped mac in a lovely deep blue. It will add a stunning finishing touch to your weekend wardrobe, and will carry you through the seasons for years to come.